It’s a rare buyer who can see past the clutter, peeling paint, and stinky pet odors. Here, professional home stagers unlock the secrets to staging your own home. Follow them then schedule that open house—and watch the offers come in! 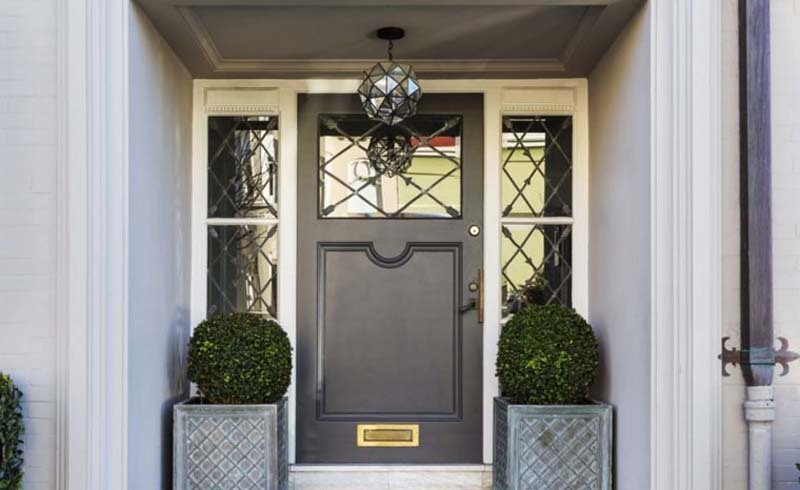 “These days, it’s all about curb appeal so don’t forget your front door,” says Jerry West Sanders, an interior designer and home stager at Sanders-West Consulting and Design LLC of Olympia Washington and Phoenix, Arizona. Keep up on lawn maintenance and give the shrubs a shear if necessary. If your door is showing its age, consider giving it a fresh coat of paint. Update the house numbers and paint the mailbox if it’s near the front door. In addition, Sanders says a potted plant on either side of the entrance is very welcoming to a prospective buyer. Buyers want big and deep closets or at least ones that can be organized; a pile of hats and a soccer ball falling out on their head isn’t a good impression. Clean your closet before you start showing your house. If you don’t have a closet or formal entry way, it should be free of clutter, Sanders says. 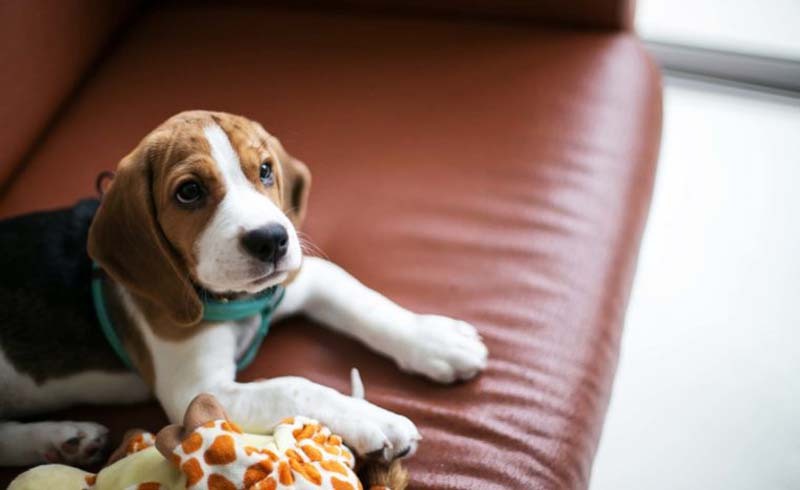 “Use a bench with a rack above for putting items such as hats, pet leashes, etc. Find small baskets that are alike in style and place them under the bench for easy storage. Another possibility is to use a mantle as a coat rack with the same basket idea on top,” says Sanders. Buyers want to see the potential for neat and tidy storage. Do you have a great focal point like a big picture window framing a wooded setting or a beautiful field stone fireplace? 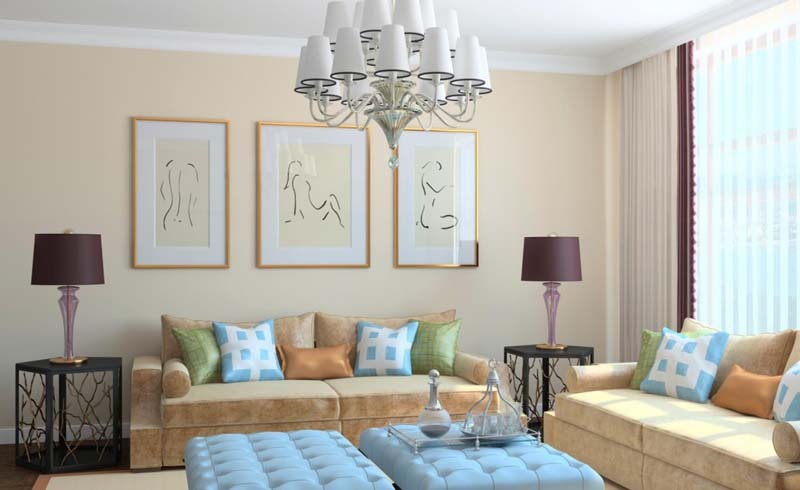 Arrange your furniture in group settings that draw attention to the focal point. Although the buyer isn’t purchasing your furniture, worn or dated furniture leaves a stale impression. Update it with some simple furniture hacks. Other inexpensive options are pillows and rugs. “Add fresh new accent pillows to sofas. They can add a pop of color or hide a worn sofa or chair,” says Sanders. “It’s a good idea to find new area rugs, too, to freshen the look.” Finally, edit and pack up family pictures, not just from the living room, but every area. “People want to create their own memories,” says Sanders. A mini makeover is easy to accomplish in a few hours could yield favorable impressions. “Buy fresh towels and get all cleaning products out of sight. A small area rug and a new shower curtain is inexpensive and makes a big difference,” says Sanders. A coat of fresh paint is an easy DIY project, just keep the color light and airy. If you have room, add a bouquet of fresh flowers and place a small lamp on the vanity to add warmth. Keeping a child’s bathroom clutter free isn’t easy when you have to be on alert for short-notice showings. Keep the bath toys in a basket and towels on a wooden hook rack that’s easy for children to reach,” suggests Sanders. Again, a fresh and colorful shower curtain is a good way to add liven up a stale bathroom but keep the rest of the area simple so the buyer can visualize how they make decorate it for their children or use as a guest bathroom. “A sense of serenity is essential in this room, ” says Sanders. 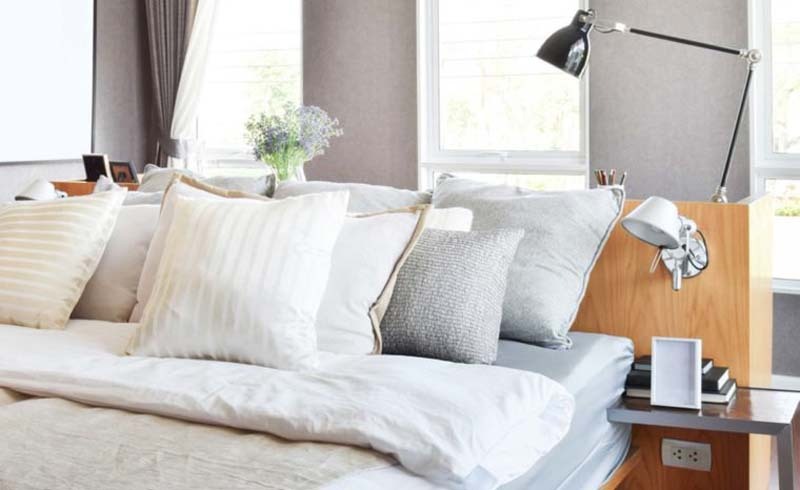 “Treat your master suite like you are in the most expensive hotel.” Use lamps to create soft lighting and if possible, stage a cozy reading space with a comfortable chair and ottoman. Showcase linens, towels, and fancy soaps and lotions. 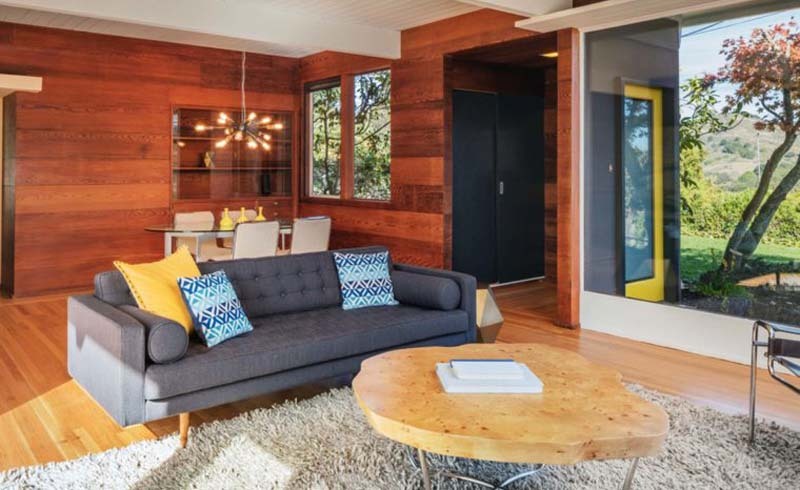 Use your own items whenever possible but a little investment in key areas can make a big difference when it comes to a buyer’s first impressions,” says Sanders. A master bathroom will a spa-like feel could put your house at the top of the list. “All other bedrooms should be a neutral, relaxing and Zen-like in appearance,” suggests Sanders. The kitchen is the heart of the home and should be clean, crisp and devoid of clutter. 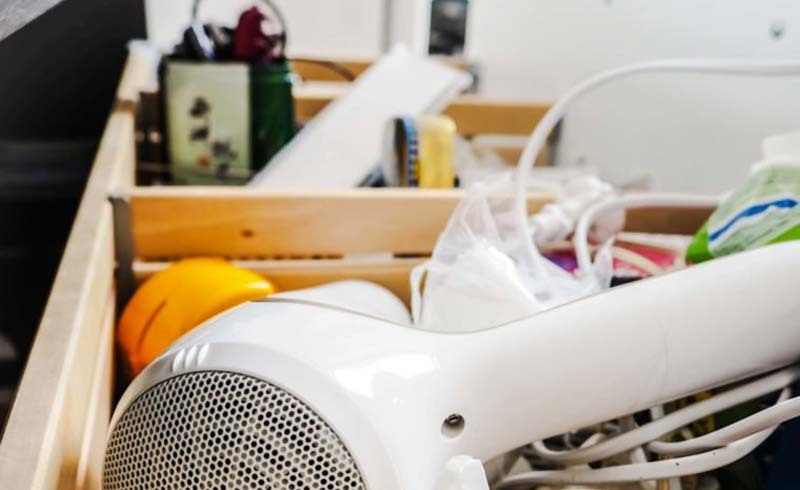 Store countertop appliances you don’t often use and give your cabinets a fresh look by cleaning them with a degreaser cleaning agent. 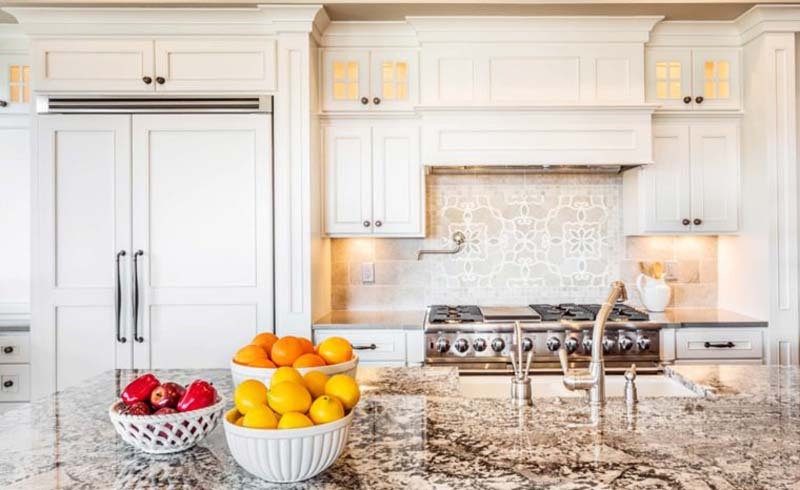 “The goal is to create a chef-inspired kitchen that showcases counter space, appliances, and storage,” says Randi Lyn Randall, of Interiors And. A lovely canister set or a bowl of lemons on the countertop adds a punch of color and interest. Fresh linens and a lit small table lamp on the counter evoke the cozy factor. “If you have glass or open shelving, adding stacked bowls of different colors or a few wine glasses can accentuate this often, over-looked feature,” says Randall. 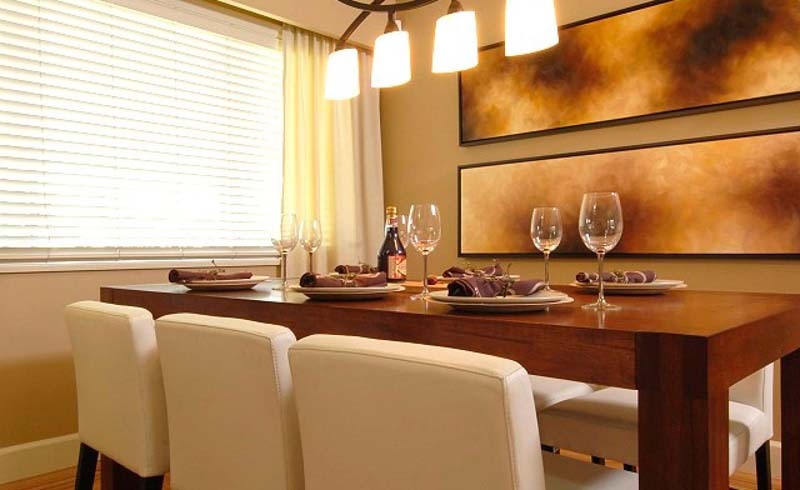 Dining rooms are where buyers visualize lovely Thanksgiving dinners or festive dinner parties with friends. If your house doesn’t have a grand dining room, a casual dinning room can be just as appealing to a buyer with a little prep. “Adding a table runner with a great center piece can give it a simple look and feel,”says Randall. For a formal dinning room, go all out and showcase the possibilities. “Chargers are my absolute favorite—and inexpensive way to dress up a dining space when layered with a large entree plate, smaller plate and then a bowl,” says Randall. 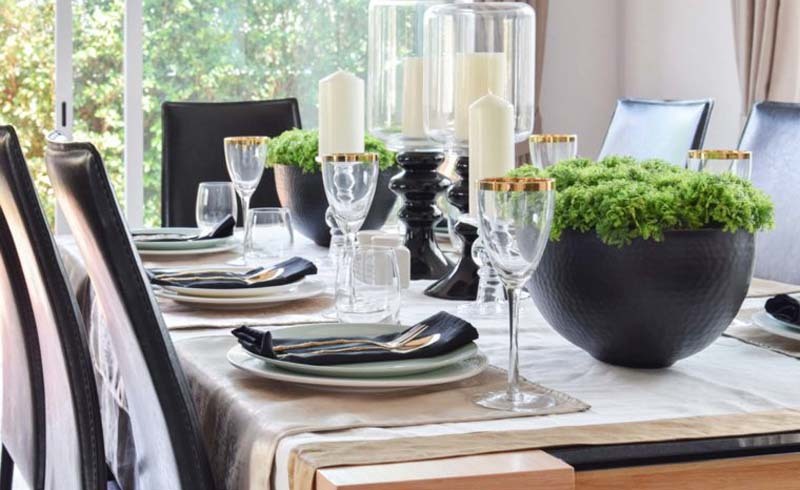 Swap out the bowl for a cloth napkin as a colorful accent and complete the look with wine glasses and a beautiful center piece and potential buyers will visualize themselves having intimate, candlelit dinners in their new home. 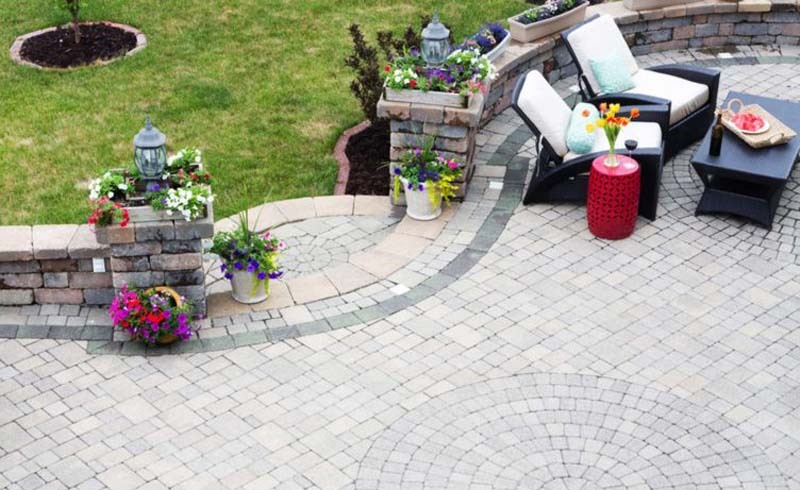 Spending a leisurely weekend entertaining or relaxing on a welcoming patio or deck may be something we enjoy but often neglect to showcase when selling a home. “Don’t underestimate the importance of every livable space that you can showcase for all those ‘visual’ buyers out there,” says Randall. 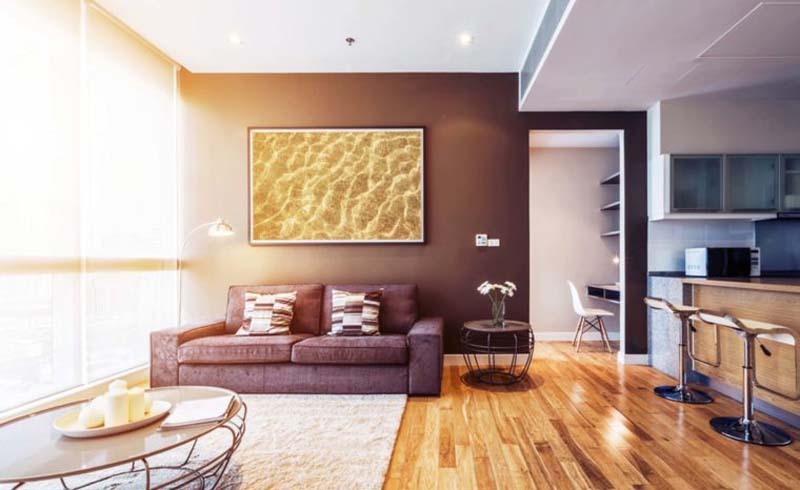 “It is a simple way to add additional living space to your interior square footage.” Powerwash the surface and stain or paint it if necessary. Randall suggests adding an outdoor rug, umbrella, a few chairs and outdoor cushions and some potted flowers to set the tone for an entertainer’s paradise. Why bother staging a basement? Because buyers are always looking for additional living space and storage. “If the basement is finished, it is always a plus to stage it as an additional living space,” says Randall. 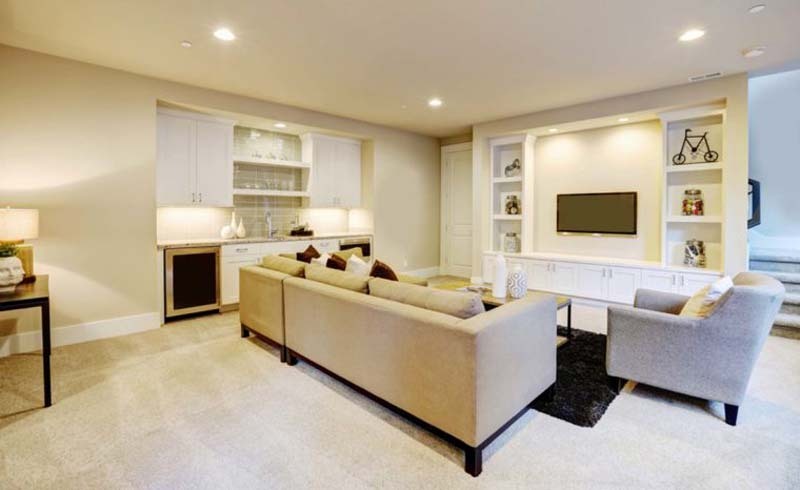 “A simple office space or an additional family room option is just another way to make your home really stand out.” If your basement is used primarily for storage, purge and get rid of clutter. 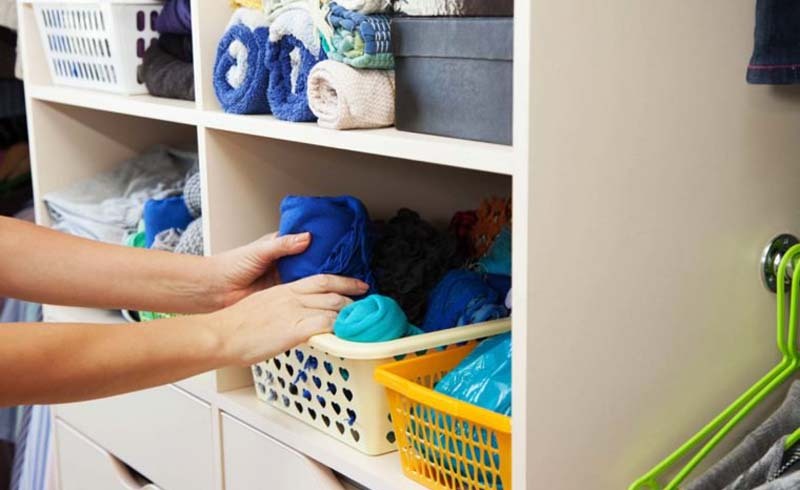 Store the remaining items neatly, in plastic storage totes. Bonus: the basement will already be packed and organized for the move. “Staging your property to sell is an absolute must whether you hire someone or do it yourself,” says Randall. The goal of the stager is to get the seller the highest and best offer in the least amount of time, without costing an arm and a leg. Sometimes a fresh set of eyes makes all the difference,” notes Randall. So if you can afford it and/or you’re in a hurry to move, the answer is yes.